I always knew that Sonam Kapoor was passionate about fashion, but hairstyles? This is news for me too! I love the fact that every Instagram post of hers now is of her sporting a cool hairstyle. Braids, buns, waves, curls - yep, our pretty woman doesn't shy away from experimenting with her locks at all. 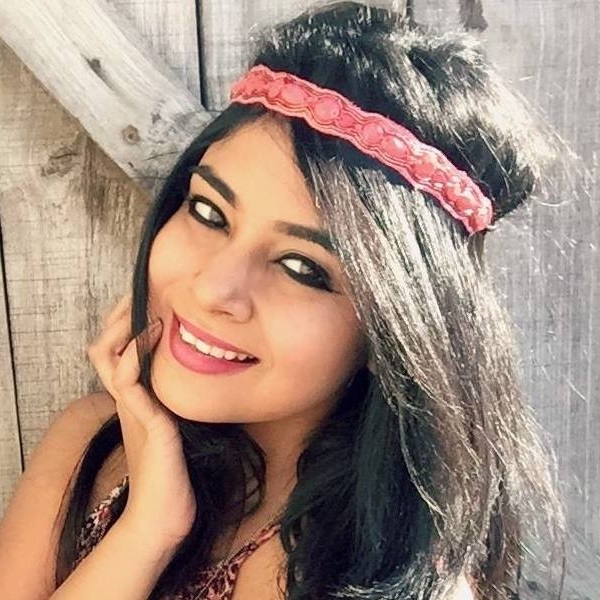 In fact, she's rocked at least 4 hairstyle looks in the trailer itself for her latest film Ek Ladki Ko Dekha Toh Aisa Laga. I have screenshots as proof! I really like this scene from the trailer. 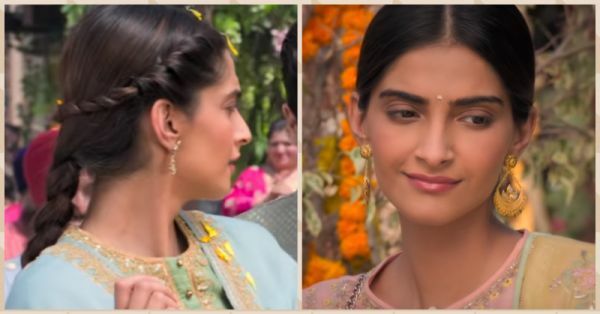 Everything looks so colourful and Sonam's half-up and half-down desi braid is the highlight of my day. Any girl can get this hairstyle by dividing her hair into two sections and later braiding each section in a horizontal and vertical fashion. Although I'm not a fan of Sonam's expressions here, I do like her center parted hair and twisted sides hairdo. Come to think of it, it is a super easy hairstyle to try and with the help of a couple of bobby pins, it can be wrapped up in 5 minutes flat! 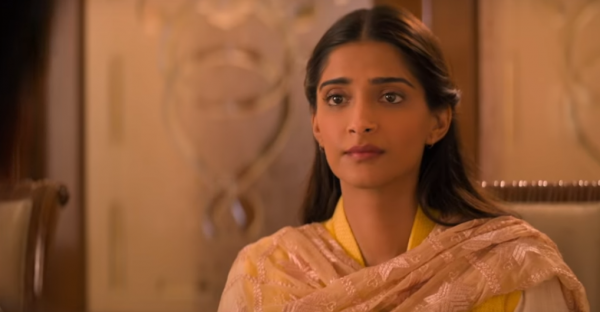 This is the opening scene of Sonam and she looked so aesthetic in this still. The middle-parted low bun suits her face cut and is again, another easy hairstyle to pull off.